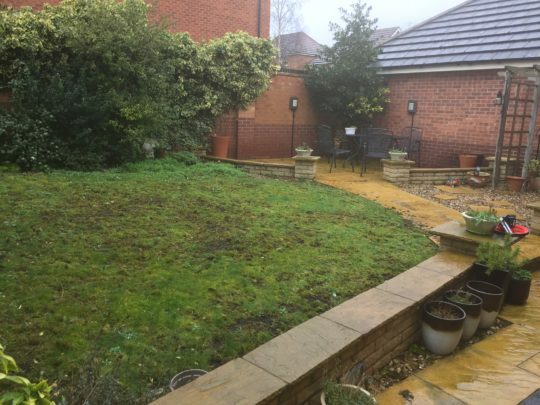 Our client had a back garden she was finding high maintenance and quite bland. 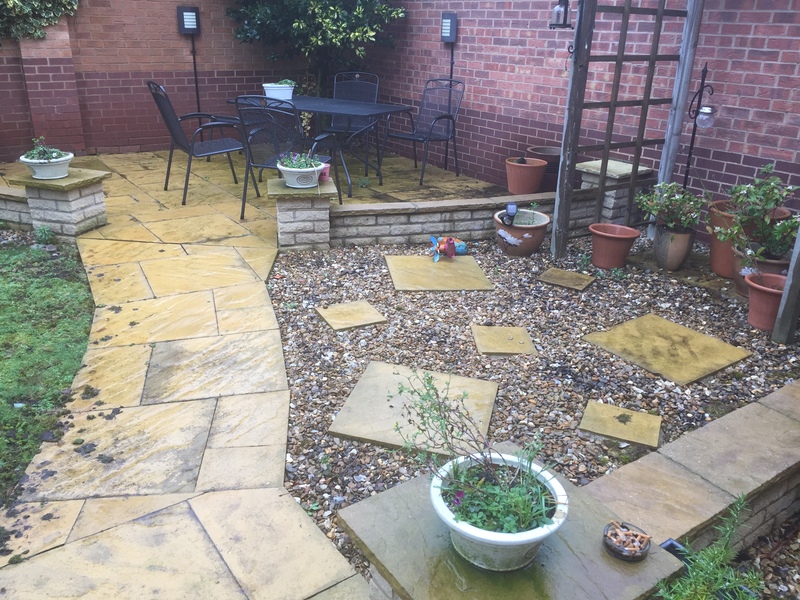 She wanted something that would look great all year round with little maintenance and had a few ideas she wanted to work with. After arranging to visit Rachel she had quite a clear idea of what it was she was looking to achieve and we managed to get this all down in a quotation that she was happy with. The main turfed area of the garden was to be lifted with a decorative blocked circle to be created in order to house a small area of approximately 3m of turf, breaking up the garden. 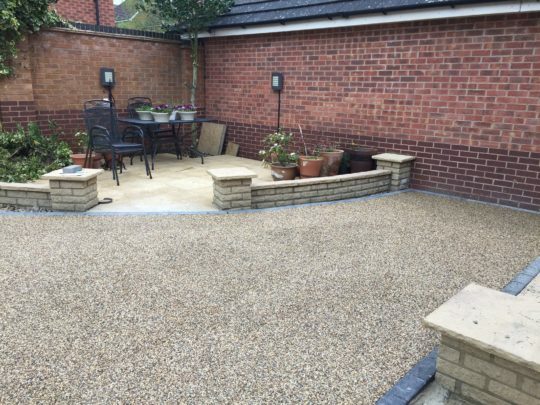 We would compliment this with a charcoal blocked border around the entire project area. 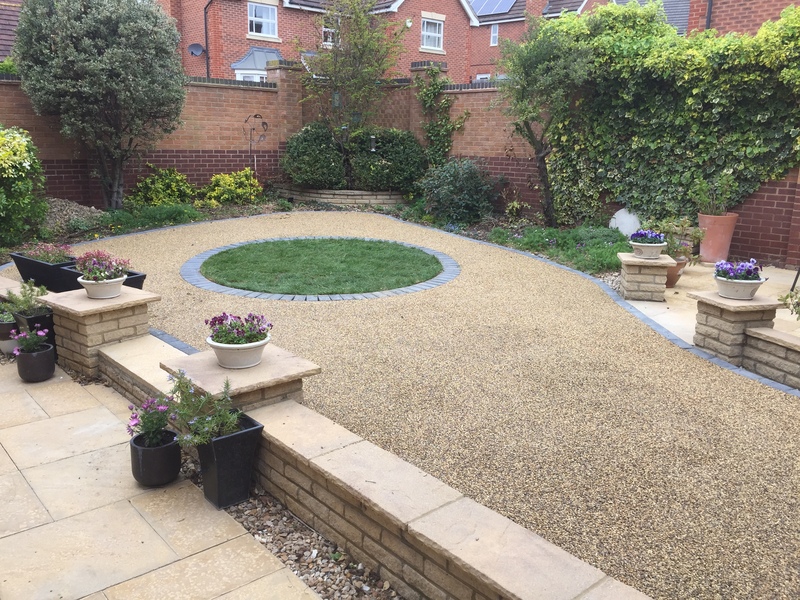 The gravel and slabbed area was also lifted to match up with the rest of the garden and become one install area. A concrete base was installed with draining areas and the customers choice of Daltex Golden Quartz Resin overlayed. 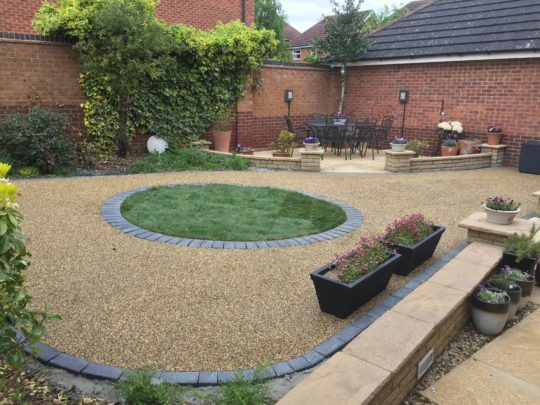 Rachel loves her new garden and we think the entire project looks fantastic. Number of install days was 4.